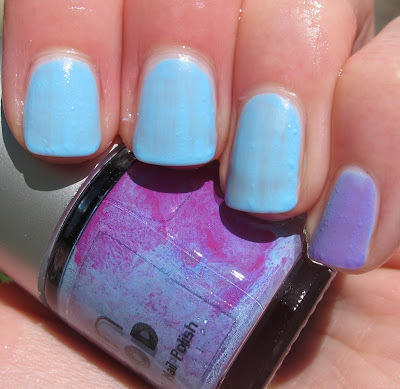 I enjoyed the last two Born Pretty Store polishes I tried so much, I have another one for your viewing pleasure!! With Born Pretty Store's wide selection of nail art, this polish fits right in! 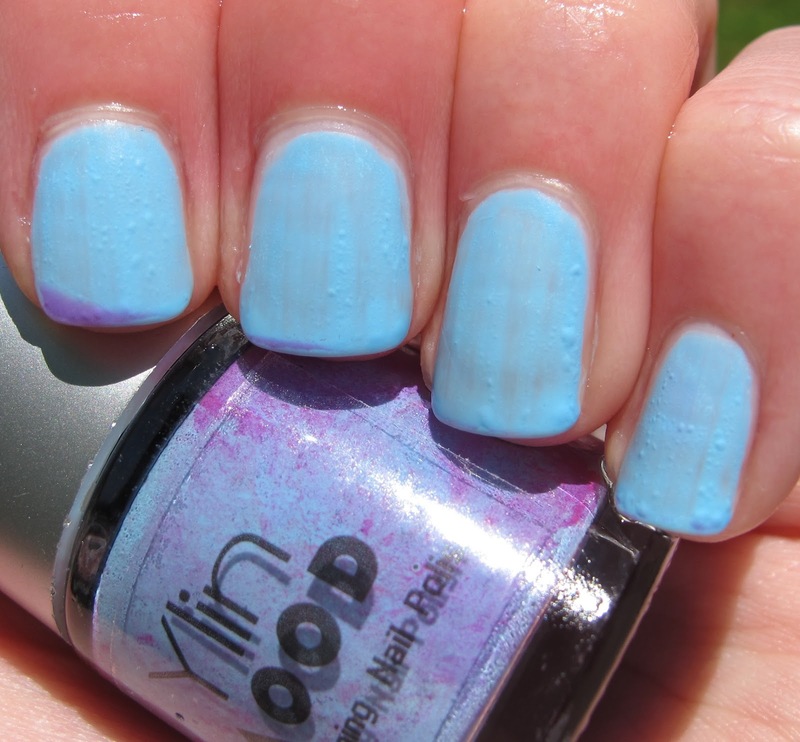 Ylin Mood Color Changing Polish starts out as a medium purple creme and dries to a bit of a matte finish. This is the color you will see most of the time while wearing this polish. When things start to heat up (i.e. 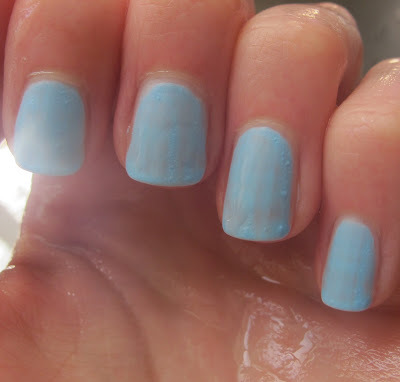 you run your nails under hot water, hence the wet hands here), you get a gorgeous sky blue color!! I do apologize for the quality of this picture but this is the ONLY picture I could get of all of my nails when they turned blue. I did have fun watching the color change! There was a cool breeze today, so my nails would be all blue when I went outside, but they would start to change before I could take the picture! For some reason, my pinky changed first and the others stayed blue for quite awhile. I must not have had my pinky in the hot water long enough. Below, you can see just a teeny bit of purple starting at the tips. Sorry for all of the water drops, but I wanted the blue to stick around long enough for me to photograph! 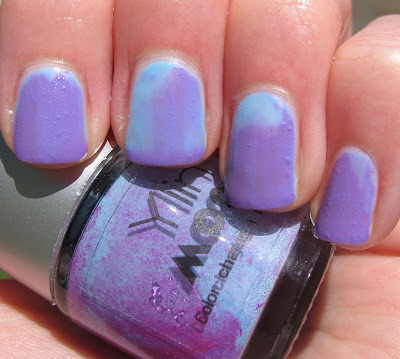 Born Pretty Store's Mood Polish is a really fun polish to wear. I can't wait to wear this as a full mani and watch the fun after showers or on a really hot day! The formula on this was pretty good, easy to apply, opaque in two coats. I would maybe use a third coat next time to make it look more even when it turns blue. I did not use top coat in these pictures, as I liked the semi-matte finish this has! Ylin Mood Color Changing Polish is available on Born Pretty Store's website. Don't forget to use the code: ERJ61 at checkout for 10% off of your order! This polish was sent for review. For more information, please see my Disclosure Policy.